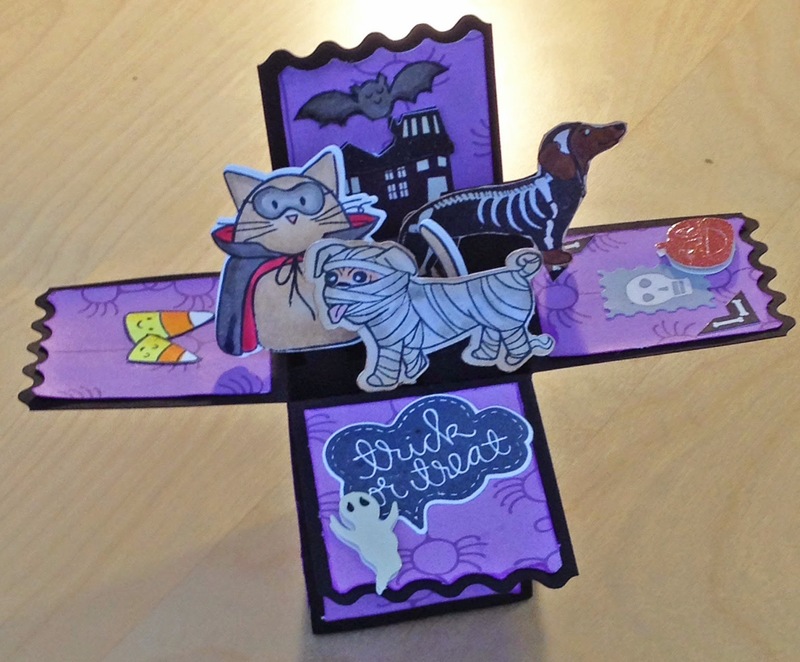 A cute little box card for my daughter with Simon Says Stamp "Trick or Treat"! This is sure to be a hit with your daughter, and a keepsake, too, I think, BeeJay! Beautifully done! 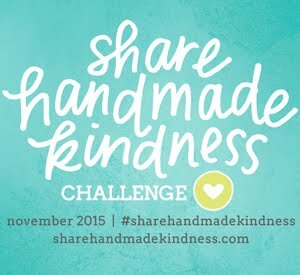 Thanks so much for plaing along with us at the Simon Says Stamp Wednesday challenge! Whoa! This is awesome! Very cute indeed. Awesome box card! Very fun! 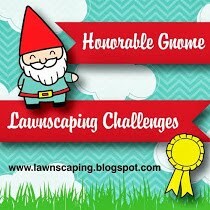 Thanks for playing the Lawnscaping Challenge! Those boxes always look like so much fun! Great job creating all the elements and bringing them together. Thanks for playing with us at Lawnscaping!